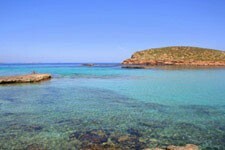 Ibiza, popular with families, couples and the young and lively, has many properties offering an all inclusive board basis. Relax and enjoy your holiday without the worry of how much you’re spending with hoteliers including drinks, meals, snacks & entertainment in with the cost of your holiday price. For the young and lively, it allows you to have your meals/snacks and have a drink until late in the evening without spending a penny before you hit the nightclubs, whilst the couples and families can lock their wallets away chill in the sun and drink around the pool before watching the local entertainment.